It is a maxim of equity that equity will not assist a volunteer. As donees and (usually) beneficiaries give no consideration for their gifts or beneficial interests, equity will not recognise a gift or enforce a trust if the donor or settlor has not transferred the subject matter to the donee or trustee in the manner required according to the nature of the subject matter. This seminar will consider the restrictions equity places on the perfection of gifts and constitution of trusts and the need for certainty. The seminar will consider the exceptions to these restrictions that have developed in Hong Kong and England such as the rule in Strong v Bird, coincidental receipt of property and recent cases considering the “unconscionability test” in Pennington v Waine  EWCA Civ 227. Recent Hong Kong cases involving the application of the doctrine of donationes mortis causa and the passing of land as a gift made in the contemplation of death will be considered. 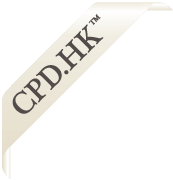 To consider the application of donationes mortis causa in Hong Kong.